It sure has been quiet around here lately. I missed out on EA Louse and the copy cats. Work has been crazy and in my free time I've been settling down to watch the Green Bay Packers play, watching my son, or listening to the soothing sound of blocks being mined in Minecraft. First, lets get the business out of the way. I have embedded the new What I'm Playing/What I'm Paying spreadsheets for September and October below. The overall spreadsheet (includes previous months) can be found here. To be honest, September and October were all about one game: Minecraft. Minecraft is a simple, yet brilliant game. Mine blocks, build stuff. 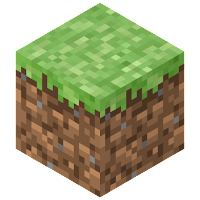 The entire randomly generated world is made up of blocks that can be harvested either through tools or through the use of raw fist power. The blocks can then be used to build anything imaginable. Throw in flowing water (or lava), monsters, weapons and armor, and online play and you start to see why I am putting so much time into the game. Minecraft is addictive fun and nearly everything I've ever wanted in a game. Oh and its still in ALPHA. ALPHA! Now with the beta on the horizon and promises of better functioning multiplayer, I may have found the addiction... err game... I've been waiting for since giving up my addiction to World of Warcraft . Best of all, I can run Minecraft on my work PC. Good bye productivity (just kidding boss, I only play on break or on lunch). Btw, you can get some sweet, sweet Minecraft music over on Amazon . Minecraft costs anywhere from $12 to $15 depending on the conversion rate at the time. This purchase price includes all future updates for the game. This is the best game purchase I've made in a very long time.